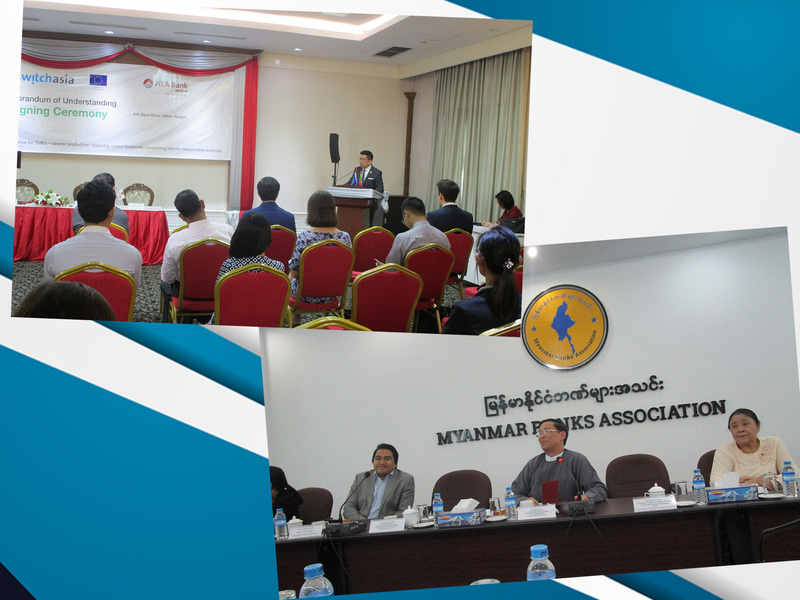 ADFIAP, represented by its Secretary General, Octavio B. Peralta, conducted two separate briefings on green lending policy framework to the Myanmar Bankers Association (MBA) and to credit officers of AYA Bank, one of the leading banks in Myanmar. These sessions are part of the EU-funded SMART Myanmar 2.0 project in which ADFIAP is one of the project partners. The session with 50 of AYA Bank’s credit officers was held on January 30, 2019 at the Bank’s headquarters in Yangon while the briefing for MBA member-banks was held on January 31, 2019 at the MBA building’s executive meeting room. The green lending policy framework which was developed by the ADFIAP consulting team covers definitions of green loans and green projects, use of green loan proceeds, specific terms and conditions, project evaluation and selection process, management of proceeds, loan documentation, supervision and monitoring and reporting.